With more daylight and warmer weather on the horizon, we can FINALLY start to see the beginning of Spring! Because of this, many of us will experience an almost primal urge to deep clean our homes from top to bottom. When you envision your home the way you want it to look, what words come to mind? Clean? Bright? Spacious? Sleek? All of these things can be achieved by taking the time to not just clean, but to also de-clutter! By de-cluttering, you will make way for new organization systems and clean surfaces that are easy to maintain in your home. 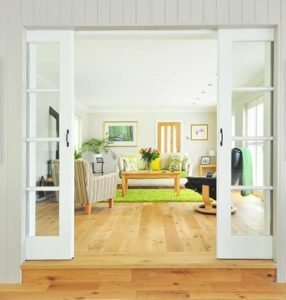 Because it will not look like your home is “over-stuffed”, rooms will appear to be larger than before. 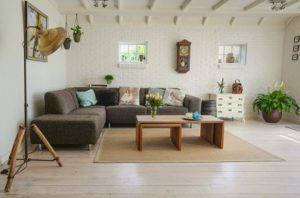 Lastly, having a de-cluttered home is tremendous for both your physical and mental health. We highly encourage everyone to not only clean this Spring, but also to de-clutter their homes and storage units (if applicable). To make it easy, ClutterTroops has put together a list of items that you can easily recycle or donate from your home this Spring! As an added bonus, we’ve included a list of items that frequently expire and a list of items that should be frequently replaced around the home. 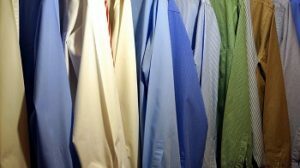 If you rotate your wardrobe, taking the extra time to de-clutter is easy! Go through your fall and winter clothes and remove anything that no longer fits or that you didn’t wear for the entire season. If you didn’t wear it this year, you probably won’t wear it next either! As you bring out your spring and summer wardrobe, try your clothes on to make sure they are in good condition and still fit properly. If they do not, donate them. Kids clothes are always a HUGE undertaking because they grow out of them so quickly! If you do not de-clutter your children’s clothes on a regular basis, you will likely have a huge haul now. For younger children, they are hardly worth saving (unless you’re expecting another!) Your child will long outgrow those clothes by the time Winter rolls around again. 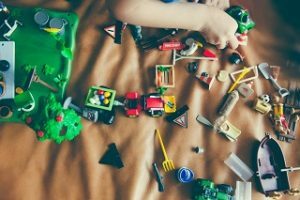 It’s likely that the Holiday season brought in a huge new inventory of toys that have been making you stir crazy over the past couple of months. Now it’s time for you to take charge and de-clutter! At ClutterTroops, we encourage parents to get their children involved in this process. It is never too early to teach them about the importance of de-cluttering and giving back to the community! If you have shoes in your closet that you have not worn in the last year, but are in otherwise good condition, you could donate them to your local shelter. The same goes for children’s shoes. If the shoes are in less than ideal condition, you can throw them away knowing that you got your money’s worth out of them. Mugs are a popular collectors’ item for many people. Coincidentally, lack of kitchen cabinet space is also a common complaint. We encourage you to consider how many mugs that you and your family use on a typical day and downsize to that number. Pick out only your favorites and then donate the rest! Glass vases and jars are often accumulated without much thought. Take this opportunity to keep only the ones that you find exceptionally useful and beautiful and donate the rest. 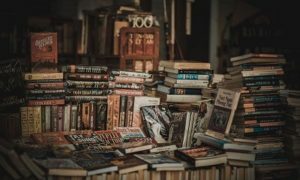 It hurts me to tell you to cut down on your book collection, but realistically, your books are likely taking up a lot of space in your home simply to collect dust. We encourage you to consider donating your collection (except for your very favorites) to the Literacy Foundation or your local library to help others get use out of them as well! Craft supplies have the potential to take up a lot of space in a person’s home. But if you have not had the time to accomplish any of your projects over the last year, ask yourself if anything in your lifestyle is going to change anytime soon. Keep in mind that paint can, in fact go bad! So instead of continuing to store the items, consider donating them to The Adult Care Center or your local schools! 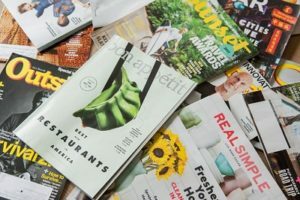 If you have already read your magazines, they are more than likely just taking up space. You might choose to recycle them on your curb, but also consider calling your local schools to see if their art classes might be able to use them! 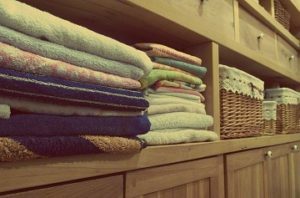 If you have old towels and sheets that you no longer need to store, call your local animal shelter to see if they would accept them as a donation. Whether you have multiple wine openers, vacuums, or silverware sets, we urge you to ask yourself why you need to have more than one. 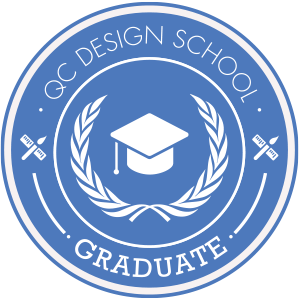 Pick one of the best quality and donate the rest! Wire hangers may be cheap, but the damage that they do to your clothes is not. They can distort and snag your fabrics and in some cases, leave rust stains. They now make different types of hangers for specific clothing items. It pays to take care of your clothes! Also, your local dry cleaner will happily take back wire hangers and recycle them. After you have paid a bill already, there is really no reason to keep it around. Keep your mail clutter under control by going paperless or setting up reminders in your calendar! For the paper that you are getting rid of, remember to shred personal, financial, or other important documents that have your information in them. If you have a large amount of paper, it may be worth your time to call a professional shredding company that charges by the pound. It will save you a massive amount of time and headache. After setting up your device, it isn’t likely that you will ever look at the instruction manual again. Instead of storing them in a junk drawer, you can always look up the manual online if you really needed to recall the information in the future. Just like instruction manuals, the menus to your favorite restaurants can nearly always be found online. 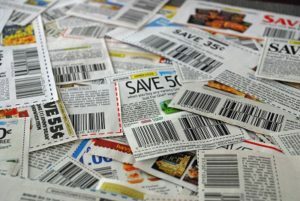 If you are an avid coupon user, you should be cycling through your expired coupons each week. This can save you both time and space while shopping! New year, New Calendar! If you are saving the calendar for its images, consider what you will do with them. If you have no plans to hang them somewhere, reconsider recycling them! Schools send out A LOT of paper. Take the opportunity now to de-clutter anything you don’t need! Just like mugs, we have a tendency to save, collect, and maybe sometimes accidentally steal food storage containers. It’s handy to have plenty of items of all shapes and sizes for leftovers, but when they start to take over your kitchen cupboards, you have a problem. Go through and make sure that your containers all have their lids. If there are containers that are warped, no longer seal, or are just in poor condition, recycle them. Outdated and broken electronic devices are a hindrance to keep around. 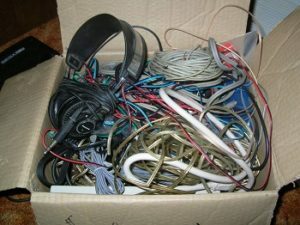 Having a box full of mystery wires, computers that have failed, and especially old tube televisions. Make some time to take these items to an electronic recycling facility. People often forget to go through their medicine cabinets and clean out the expired medicines. Make sure you replace the medicines that you use on a regular basis! Sunscreen typically has a shelf life of three years. This, however, does not mean that it is three years from the date of purchase. Many sunscreen bottles have an expiration date that will indicate when the product will no longer be effective protection from the sun. You, of course, should be checking your expiration dates on your foods before you use them. But it doesn’t hurt to make a point to go through your refrigerator, pantry, and spices to ensure freshness! 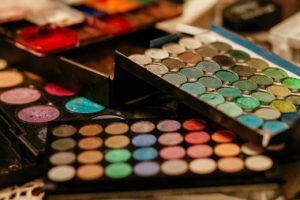 Did you know that your make-up can actually expire? Who knew, right? Well, the good news is that when you get rid of the old stuff, you can always buy new in the latest shades and colors. Just like infants’ clothes, it typically isn’t a bad idea to hold onto children’s car seats if you are planning to have another in the future (I get it, they’re expensive!) However, be mindful about the expiration dates on the car seats themselves. Call me crazy, but a fresh, clean, odor-free sponge in the kitchen is nothing short of exhilarating. 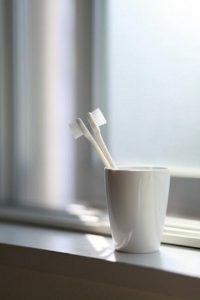 The American Dental Association recommends changing your toothbrush out every 3-4 months. If you haven’t done so lately, take the opportunity now! Replace batteries in your smoke detectors, carbon monoxide detectors, and emergency flashlights. Used to absorb smell, make sure to replace your baking soda in your refrigerator and freezer every 30 days! After one year of use, your pillows are loaded with bacteria and dust mites that are best sent to the trash. Change your water filter yearly for maximum efficiency!